Realistic red knee as accessory for both genders. Fully recolorable in any desired nuances, can be used with all skintones, base game compatible. Ultra natural lipstick. 4 recolorable zones, custom cas and launcher thumbnails. 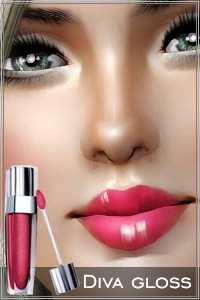 Night shadow - eyeshadow for your Sims 3 females. Recolorable, custom thumbnails.